Esperanza Center is TEMPORARILY closed while clean-up crews remove debris following a massive fire on the 400 block of South Broadway in Fells Point. (September 13, 2018, Baltimore, MD) Clean-up crews began their work this week at Catholic Charities’ Esperanza Center following a four-alarm fire on Friday, Sept. 7 at Budeke Paint store. As a result of the fire, the Esperanza Center is TEMPORARILY CLOSED until debris can be removed and the building is safe for re-entry. Alternative sites are being explored to deliver services during the clean-up. For Updates: Call Esperanza Center at 667-600-2900, visit our website, Catholic Charities of Baltimore’s Facebook page or Esperanza Center Adult Educational Services Facebook page. Translation: AVISO: Esperanza Center a S. Broadway estará cerrado TEMPORALMENTE a partir del 7 de septiembre, debido a un incendio en un edificio al lado. Favor de volver a consultar esta página o llame al 667-600-2900 para más noticias. Gracias por su paciencia. BACKGROUND: Catholic Charities’ Esperanza Center is a comprehensive resource center that welcomes immigrants by offering hope, compassionate services, and the power to improve their lives. Staff and volunteers provide education, healthcare, immigration legal matters, family reunification, anti-trafficking, and general community support. Since 2013, the Center has also operated the Family Reunification Program, which has helped to reunite more than 2,700 unaccompanied children with a sponsor. Catholic Charities of Baltimore is Maryland’s largest private provider of human services, offering assistance to children and families, people experiencing poverty or homelessness, individuals with intellectual disabilities, immigrants and seniors without regard to religion, race or other circumstances. 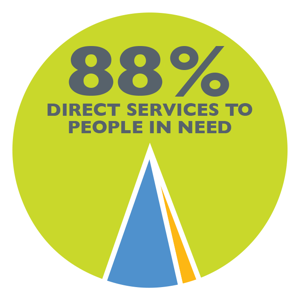 Catholic Charities has more than 80 programs in 200 locations throughout Central Maryland. Photos courtesy of The Baltimore Sun.